Are you still scouring the internet for best methods in advertising your business? If you still do then you are wasting time and money. Our promotional drink coasters offer you and your business an alternative, cost effective, fool-proof means of reaching out to your specific target market and customers using creative coasters as your primary advertising tool at the quickest. Stock up now on our promotional drink coasters and jumpstart building your customer base right away. We even customise coasters just for you to help commemorate important events or to celebrate that special occasion and let everyone else know about it! 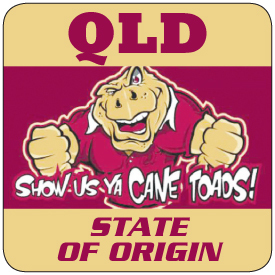 For that special customized touch for your birthday, anniversary, wedding, hens/bucks night, special event or even your state of origin party, Promotional Drink Coasters has something for you. Call us today or send an e-mail to know more about our product and service. Call Us Now (07) 5575 3611! Scratch and Win! Customers will be itching to get their hands on your custom designed drink coasters when there's a prize at the other end.